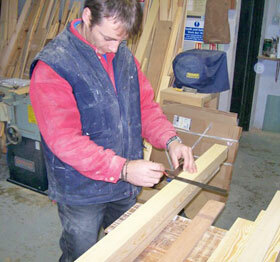 Celtic Cross Joinery is a small specialist joinery company run by Duncan Semmens with the help of his son Ryan. 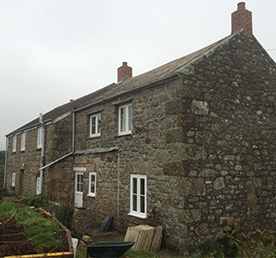 We offer a friendly, top quality, comprehensive joinery service to domestic and commercial clients throughout West Cornwall. We are particularly experienced in window joinery, covering sash and bay window joinery. Based near Penzance, we cover the whole of the West and Mid Cornwall areas including St. Ives, Hayle, Marazion, Newlyn, Mousehole, Sennen, St. Buryan, St. Just and everywhere in between! See our Areas Covered page for a full list of the areas we cover. We work with both soft wood and hard wood and have experience of applying our joinery skills to a wide range of building requirements, including timber conservatories and bespoke staircases through to unique garage doors. 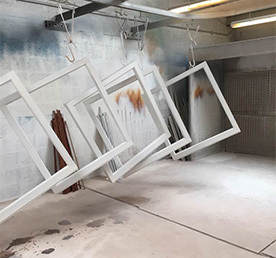 Our company combines traditional craftsmanship with the most modern, high end design and planning systems to offer a complete design, manufacturing and fitting service. All professionally provided to the highest possible standards and fully guaranteed. CE marking is an indication of compliance with EU legisation. From the 1st July 2013 it became mandatory to CE mark external timber windows and doors. Celtic Cross Joinery is fully set up to CE mark windows and doors to meet these regulations.